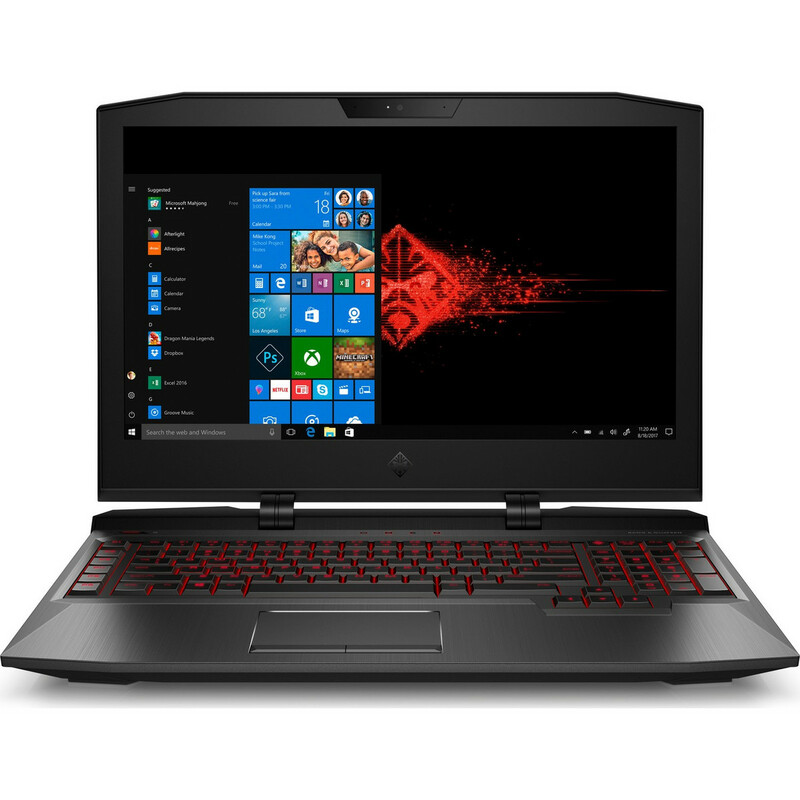 Model: The HP Omen X 17-ap000nf is a gaming laptop that features high-performance hardware and top-notch build quality. 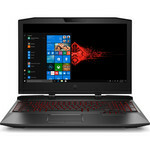 It falls under the HP’s added new massive gaming collection, the Omen X Laptop. The Omen X 17 is a 17.3-inch notebook equipped with a mechanical keyboard, a rather rare item in the world of notebook PC gamers. The case of this 17.3-inch laptop is characterized by aggressive lines and a metal finish. The textured back panel of the display housing gives a nice flair that works with the RGB-backlit logo to make the device pop. The only downside is that the black semi-gloss finish across the brushed metal surfaces only looks nice until it is touched. Fingerprints and smudges stick to the body like glue and require effort to remove. When the laptop is turned on, the entire backlighting of the mechanical keyboard goes into action, illuminating the internal tray with a thousand lights. All colors and areas are customizable via the Omen Command Center. The keyboard temperature remains almost unchanged when the system is under load. The palm rests also stay nice and cool while gaming. The 1,920 x 1,080 IPS display is another focal point of the Omen X 17, primarily due to its 120 Hz refresh rate. The screen is also reasonably bright at about 330 nits, although the bottom left corner is a bit dimmer than the rest of the panel. This is only noticeable on dark screens and isn't distracting during normal use. Since it is an IPS panel, viewing angles are good. 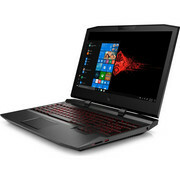 As for hardware specification, the Omen X 17 has a solid seventh generation Intel Core i7, the 7820HK, one of the most powerful of its generation, associated with 16 GB of DDR4 (expandable). Its operating frequency of up to 3.9 GHz in Turbo mode (2.9 GHz base) is ample to run all programs. 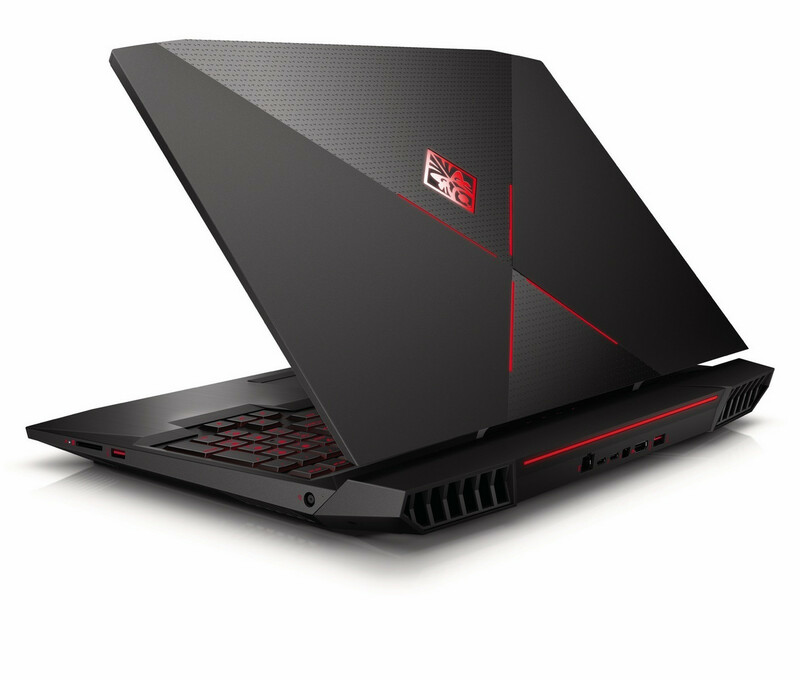 The Omen X 17 has a GTX 1070 graphics processor. Despite its two years of existence, it still holds the road when it comes to running the games on the 17.3-inch screen. HP places a 256 GB PCIe SSD (Samsung brand) SSD on the motherboard. The 99 Wh battery does a respectable job of powering the device for normal use. While most large gaming notebooks have similarly large batteries, the Omen X 17's leaves them in the dust. Even without the benefit of Nvidia's Optimus, the Omen X 17 can last about five and a half hours under normal usage. At the back, the laptop includes the wired network connection, HDMI video outputs, and a mini DisplayPort, and all three USB Type-A ports, and two Type-C (Thunderbolt 3 compatible). On the sides of the device, there are two USB 3.0 jacks (one on each side), an SD card reader, and the usual analog audio jacks.